This time last year I was starting to plan out the crowdfunding campaign to fund the first issue of Creative Countryside magazine. I had no idea whether it would work, whether anyone would care, or where I'd be twelve months on, but here we are, still going! Publishing an independent magazine has been full of pitfalls and learning curves, and because I'm constantly looking forward (to the next issue, the next gathering, the next season), I thought I'd share some of the things you can expect to see around here. 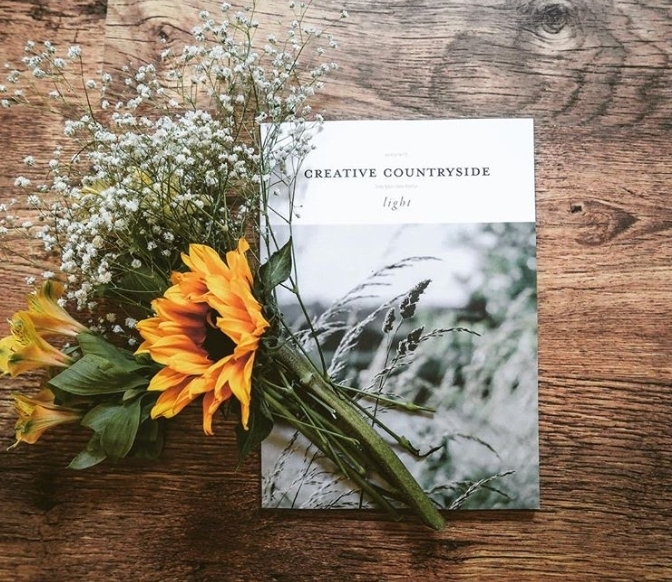 If you're interested in what's changing, and what running Creative Countryside is like behind-the-scenes, then this is the post for you. I set out determined to publish four issues a year. A quarterly magazine just felt right for something so aligned with nature and the seasons, and I'm happy to say that it's going to stay this way. I've deliberated over changing it to bi-annual (cheaper to print, more time to sell, more time to work on content) but for me, it's all about the seasons, so four issues it is. You'll notice, however, that issue 4 is a lot bigger than previous issues - it's 120 pages (rather than 80), and I'm so pleased with this change. I felt limited in previous issues, and had so much content to share that I had to be very selective in my choices. I've tried to reflect the size increase fairly, so whereas previously £8 bought you 80 pages, £12 now buys you 120 pages. The magazine has always had the feel of a book anyway, so this change really cements that, and you can enjoy the content each year - it won't go out-of-date next month, and we won't be repeating the same style of content next year either. It's had a bit of a re-design too, to reflect everything I've learnt so far - you'll notice that our logo has also changed, and things are just a little more streamlined. The magazine has always been printed on recycled paper; that's a non-negotiable for me. If I'm going to create something that uses up natural resources, I want to make it as environmentally-friendly as possible. Each magazine is sent out in a recycled jiffy bag (no plastic bubble wrap) and stockist orders are sent in recycled cardboard boxes. I now also use recycled plastic tape for larger orders. The final change for the magazine is that the print run is going to be limited to 600. Initially my goal was just to sell as many copies as possible, to increase print run each time, and see the magazine stocked in as many shops as I could. But for a niche magazine, that's turned out not to be feasible. For now, it makes more sense to print a limited number, and to focus on increasing the number of subscribers and repeat customers. I'm not concerned about the numbers; I'm much more interested in building the community. A quick note about the price too: I know a number of people find £12 an inordinate sum for a magazine, and there was a time when I might have been one of them. But if you consider the fact our magazine is quarterly, completely ad-free, and is the size and quality of a journal or book rather than your typical glossy magazine, I hope the reasons for the cover price become clearer. The magazine doesn't make me any money either: costs are covered, but that's about it, and it just isn't possible to print a publication of this type and sell for less. I longed to run events for Creative Countryside many months before they were actually introduced! Working as a creative entrepreneur, the days are often spent alone working on different elements of the business, but we all need connection, someone to bounce ideas off, a chance to just 'be' and take time to process our thoughts. Our seasonal gatherings give you the opportunity for all this, plus the chance to feast on seasonal food, take part in traditional rituals and ceremonies (wassailing, anyone?) and spend time in nature with like-minded folk. 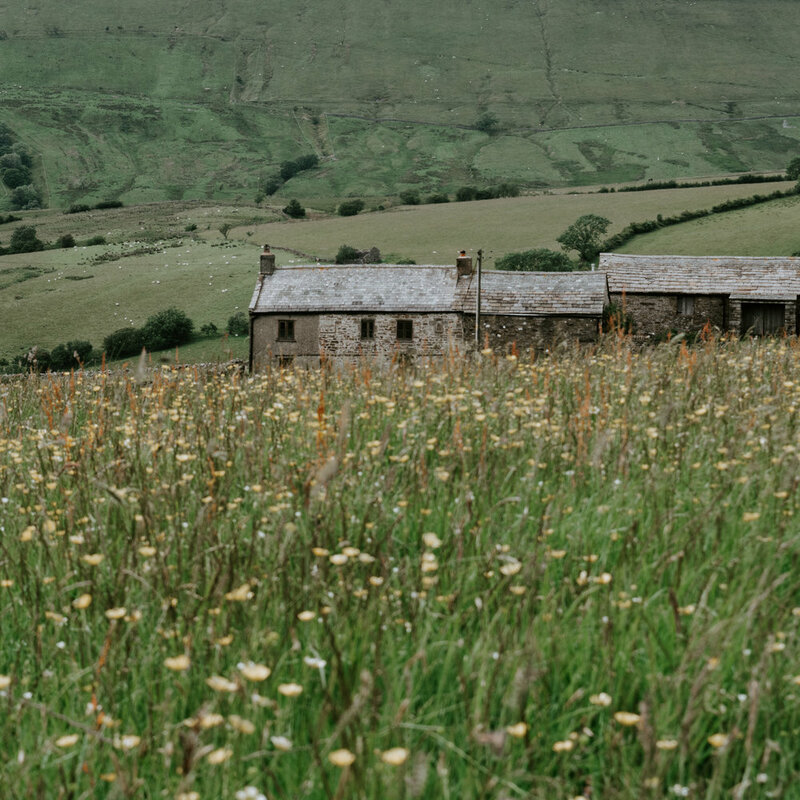 This year, we've hosted two gatherings so far: the first took place in January in the Peak District; the second in June in the Yorkshire Dales. Plans for the future are shaping up, and I hope to run four main gatherings per year, plus a host of other seasonal events (supper clubs, informal meet-ups etc.). You can register your interest in future gatherings here. The Creative Countryside community took me by surprise. Sure, I was looking to build my email list, send out seasonal e-books, grow my following on social media; what I didn't expect was the friendships I'd form. Our core team is small and currently all are volunteers. We're just about breaking even (and I'm not taking a penny so far either - everything is going back into the business), so everyone who's here is doing it for the love of it; I can't tell you what that means. To know that there are a group of individuals out there who support everything that I've built and created, who contribute incredible creative content for the online journal and the printed magazine, is an incredible feeling. I'm so grateful to be surrounded by them, so go and show them some love if you're not already familiar with who's who. One of my future goals is to expand this community, to provide a space (both online and offline) for like-minded folk to chat, connect and be inspired by the seasons. I'd love to hear from you if you have any thoughts, if you're craving any type of event/meeting space/product in particular. And if you'd like to stay informed of everything going on, don't forget to sign up to the newsletter!